During the fiscal year ended December 31, 2018, the world economy continued to expand moderately owing to factors including continued strong growth in Europe and the United States, and an improvement in employment trends and increased capital investment in Japan due to its economic policies. However, prospects remained uncertain, influenced by trade friction due to protectionist policy trends in the United States and fluctuations in financial and capital markets. Meanwhile, in our conventional mainstay sign market, although the competitive environment continues to be fierce, we conducted sales promotion campaigns in various regions with the objective of maintaining our global customer base. Also, we worked toward a recovery in printer sales by adding products which meet customer needs for specific applications to our product lineup through co-creation with local partners. As a result of these initiatives, although sales of 3D products increased owing to the expansion of the dental market, sales of printers mainly for the sign market were sluggish, and sales for the fiscal year ended December 31, 2018 were slightly below the previous term, decreasing by 1.8% to 42,774 million yen. Cost of sales improved 0.2% compared with the previous term. Selling, general and administrative expenses were lower than the previous term, mainly due to lower personnel expenses and advertising and promotion expenses. 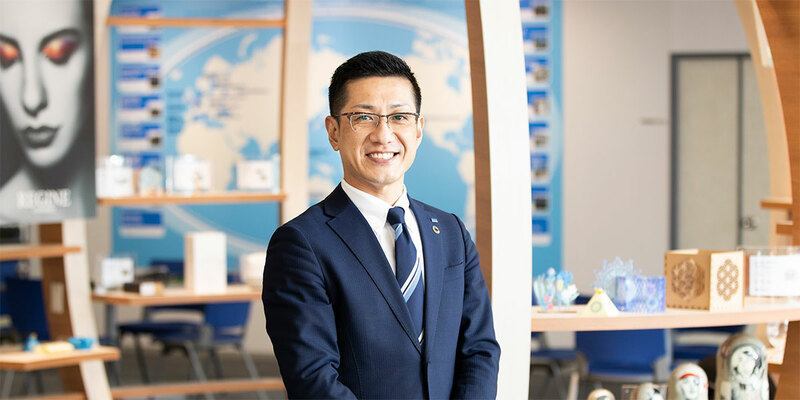 As a result, operating profit increased by 10.3% compared with the previous term to 4,250 million yen, and ordinary profit increased by 4.5% compared with the previous term to 3,976 million yen. Additionally, although extraordinary losses including the disposal of software assets and loss on sales and retirement of non-current assets were recorded during the current term, as extraordinary losses for the settlement package of a patent infringement case in the United States were recorded during the previous term, profit attributable to owners of parent was 2,881 million yen, increasing by 50.2%. Regarding the outlook for the next fiscal year, sales are expected to decline slightly from the previous fiscal year owing to the expected decrease in sales of supplies and service parts, despite the expected increase in sales of printers and 3D products from the previous fiscal year. Profits are expected to decrease owing to increases in R&D expenses for strengthening technical capabilities and expenses for proactive promotion activities aimed at expanding businesses in growing markets, as well as the assumption of a stronger yen compared to the previous fiscal year. We believe in prioritizing profit returns for shareholders, and therefore we will work to maintain the stability of those returns in light of our performance. In terms of actual policy, we will aim for a dividend payout ratio of 30% by reviewing policies and returning profits based on performance, while also taking into account the future of our business development. In terms of dividends in the FY2018, interim payout is 25 yen per share and year-end payout is expected to be 45 yen per share based on the above basic polity. We look forward to your continued support and guidance as we move forward together.